Even though most of Georgia remains in the midst of a cold snap, some degree of temperature increase is expected considering the Georgia Assembly convenes tomorrow morning for its 2018-40 day legislative session. 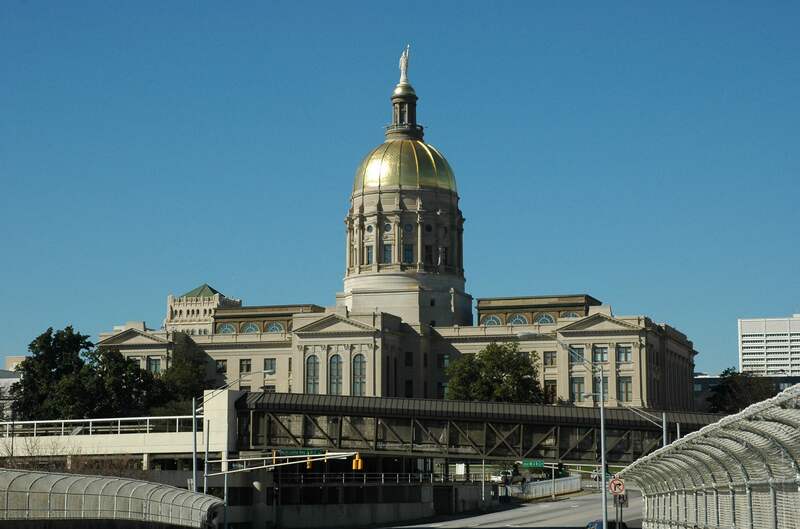 Before sine die last year, the notorious “religious liberty bill” made a reappearance, but given the threat of a veto—just as in 2016—by Governor Nathan Deal, the bill died. While House Bill 757 was vetoed in May 2016 by Deal, the more recent legislation Senate Bill 233, called for the preservation of religious liberty, but was met with opposition, citing concerns that such a measure would negatively impact the state’s reputation of diversity and inclusion. Sen. Marty Harbin (R-Tyrone) reasoned the bill was important because it codified protections of the federal Religion Freedom Restoration Act (RFRA)’s within state law. Deal, as quoted by the Atlanta Journal Constitution said, “I didn’t want there to be any confusion about where I stand on the RFRA bill: I have no desire or appetite to entertain that legislation.” The governor feared that if such measures as HB 757 or SB 233 passed, that would negatively affect Georgia’s pro-business environment and its welcoming image. Also, given that federal law protects against religious discrimination and there has been no incident in the state in which religious discrimination has occurred, such measures are dubiously redundant at best. At the conclusion of the session, major bills were passed that permitted gun owners with a concealed carry permit to carry firearms on college campuses, increased the value of the credit taxpayers can earn from contributions to qualifying rural hospitals from 70 to 90 percent, expansion of medical marijuana to treat six specific ailments, and one that increased punishments to individuals who committed certain crimes against public safety officers. The measure to increase gun-ownership rights, HB 280, was negotiated in the conference committee to make it more appealing, considering a similar bill was vetoed in 2016. As a result, certain spaces on campuses were deemed off limits to guns, such as sporting events, dormitories, child care facilities, and faculty and administrative offices. How gun ownership matters will come to fruition in this session remain to be seen, especially in light of mass killings in Las Vegas, Nevada and in Sutherland Springs, Texas. On average 33,000 Americans die from an incident involving a gun—1,297 of which are children, but the Republican-controlled Assembly has been hesitant to restrict any rights of gun ownership. Another topic of interest may be the rising number of highway fatalities in Georgia. According to data from the Georgia Department of Transportation, in the years of 2015, 2016 & 2017: 1,432, 1,561 & 1522 Georgians died, respectively, in highway incidents. As a result of the aforementioned deaths, heightened traffic congestion in the metro area, especially after the collapse of a section of Interstate 85 on March 30, 2017, and an increased possibility of involvement in an accident, auto insurance rates are on the rise. This state’s largest insurers: State Farm, Allstate, Progressive, and GEICO imposed additional rate increases. According to a presentation given at a House Insurance Committee Meeting in January 2017 by Dr. Robert Hartwig, Co-Director of the University of South Carolina’s Moore School’s Risk and Uncertainty Management Center, the disparate conditions are due to: lack of highway infrastructure investment, low gas prices, a recovering economy causing more vehicles to be on the road, more miles being driven to get to those jobs, and an increase in vehicle density. Also, of the accident that do occur, they cost more money to repair damaged vehicles and are more likely to involve injuries, which in turn leads to personal injury litigation. One possible solution to lowering the number of traffic related fatalities and reduce congestion is the expansion of mass transit and bus services, which has been a hotly contested issue in previous years, particularly in suburban counties whose residents cite fears of increased crime or taxes, should their communities join or provide bus service to MARTA stations. Two House of Representative commissions are currently studying how to reduce distracted driving and boost state funding for capital projects related to infrastructure spending. In the House pre-file database thus far are measures to permit local governments to move public monuments once certain conditions are met, ban “bump-fire stocks,” suspend professional licenses if student loans are not paid, child support reforms, mental health examinations, and a Joint Study Committee to establish a State Space Commission. The largest item in the Senate pre-file database is a sexual harassment presentation requirement to General Assembly members, which includes classes and courses. For additional information on pre-filed legislation, see links for House and Senate.